Living in Europe has its perks. Art and architecture dating as far back as the Roman era is as plentiful as Starbucks in North America (and, some argue, equally revered). It’s also comparatively easily to become a polyglot and thus have an extensive vocabulary to select from when stubbing your toe. Plus, you can jaunt over to a new country for a weekend adventure with your best mates and still make it into the office on Monday. One of Europe’s greatest selling points—at least for the workforce—is that citizens of the European Union are guaranteed by law a minimum of four weeks annual paid vacation. This means you can devote an entire month to exploring a culture vastly different than your own in any nook of the globe every year. While many North Americans travel to Cancun, a fraction see more than the slice of beachfront owned by their all-inclusive resort—and even that is often viewed through the bottom of an empty margarita glass. Yet Mexico offers an incredible bounty of ancient ruins and weird stuff. The former Mayan cities of Chichen Itza and Palenque whisper across the centuries secrets of the lost civilization, from staggeringly advanced calendar systems to grisly evidence of human sacrifice. Meanwhile, the ghost town of Real de Catorce nestled amidst the Sierra de Catorce mountain range speaks of a more recent history of cowboy culture and the dire fate of the silver mining industry. Of course, two weeks isn’t nearly enough time to ogle at all of the splendors offered by this enigmatic country so select your route wisely. If you’re considering hitchhiking through the area, then check out the article I Survived Hitchhiking in Mexico for some insight and perspective on how I did it. For those who haven’t traversed the region, the name “Utah” may initially conjure images of mega churches and Mormon underwear. But there is more to this state than the Latter Day Saints. Utah is home to what many insist to be the most breathtaking national parks in the country or even—as some enthusiasts declare—the world. With its majestic array of sunset coloured canyons set against bristly green pines and stark white snow, Bryce Canyon remains one of the most dazzling natural wonders I’ve ever seen. Its sweeping vistas where winds frolic like invisible dragons and craggy valleys where shadows pool like spilled ink instill upon wanderers a sense of otherworldliness. Yet it is the rock formations known as hoodoos that truly make Bryce a sight to behold. From knee-jellying lookouts, these hoodoos resemble everything from melting sandcastles to mosque spires to huddled masses to chess pieces to… well, whatever figures your imagination may summon in this thin-aired dreamscape. For a detailed account of the grandeurs of Bryce Canyon check out the entire Outpost View Expedition to Bryce Canyon National Park. Utah’s list of spectacular national parks also includes Zion, Arches and Canyonlands, all of which are within a couple of hours’ drive from one another. From roasting marshmallows on a lava field to scuba diving amid sunken hotels, Guatemala is brimming with daring adventures and hidden treasures. A short bus ride from Guatemala City (or the airport for travelers without a moment to spare), Antigua is one of Central America’s prettiest colonial cities. Heritage buildings in macaroon colours line cobblestone streets while quaint cafes overlook crumbling cathedrals. If the street touts and souvenir shops are too touristic for you, then catch a local chicken bus or a minibus to the backpacker mecca that is Lake Atitlan. With jungle-clad volcanos, locally grown coffee, affordable Spanish schools and regional deity Maximon whose devotees appease with cigarettes and booze, Lake Atitlan appeals to a wide scope of travel interests. For those willing to risk… well, perhaps life and limb is an exaggeration, but certainly skin and toenail, then caving in the underground rivers by candlelight in Semuc Champey is a must. And for slightly less daring folk, the natural monument also offers stunning lookouts and serene pools perfect for drifting into tranquility. While Tikal is the country’s most famous Mayan ruin, the five-day El Mirador trek is authentically off the beaten path, culminating with the exploration of a gargantuan and largely unexcavated ancient city. Two weeks may at first seem like a dismayingly short period of time, yet it’s absolutely enough for an unforgettable adventure. To get the most out of your holiday, do your research and book ahead, and be sure to create a contingency plan in case unforeseen circumstances arise. We North Americans may not have the luxury of time like our European counterparts, but that doesn’t mean we can’t make our two cherished weeks of freedom the highlight of the year. 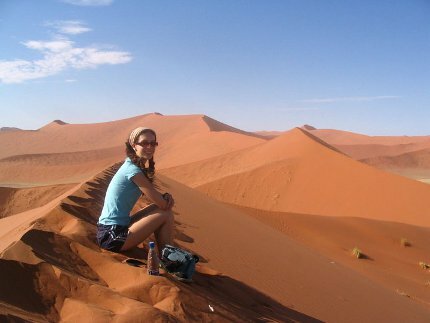 Sue Bedford is an indie traveller who has trekked, motorbiked, wandered, bussed, hitchhiked, boated, tuk-tuk’ed and stumbled through more than 50 countries in the last decade. Her travelogue, It’s Only the Himalayas and Other Tales of Miscalculation from an Overconfident Backpacker, is available from Brindle & Glass through Amazon, Chapters Indigo and Barnes & Noble.